When I began playing hammered dulcimer I was pretty much on my own. It was the middle of the 1970’s and in all of New York City I could not find a teacher. I was able to find the three hammered dulcimer instruction books available at the time. 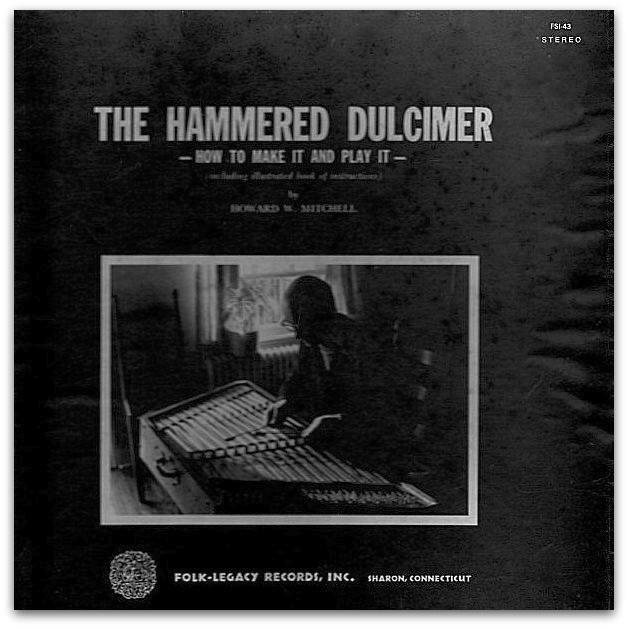 By far the most useful book I found was “The Hammered Dulcimer – How To Make It And Play It” by Howie Mitchell. Howie said this was not a clear instruction manual but more a documentation of how he figured out how to build and play the hammered dulcimer. I later obtained the record that accompanied the book and could hear some of the possibilities the instrument offered when played by sensitive hands. If you can find a copy the book and record they are a fascinating piece of history from the early days of the hammered dulcimer revival in the Untied States. The other two books available were of limited help, offering little more than a tuning chart and a very basic overview of technique, the bulk of the books being collections of tunes from the author’s repertoire. I was already busking as a mountain dulcimer player in a few old-time string bands in New City when I started playing hammered dulcimer so fiddle tunes were familiar territory for me and that is what I began to play on the hammered dulcimer. Playing hammered dulcimer as a street musician gave me a lot of time to “learn as I earned.” It also caused me to develop the habit of playing very loud and very fast because the louder and faster I played the more money people threw in the hat. When I started going to dulcimer festivals in the late 1970’s it seemed playing loud and fast were considered signs of being a good player. Taste and musical expression were optional but if you could wow the crowd you must be good. Hammered dulcimer contests were more akin to finding out who was “The fastest gun in the West” rather than who could play with feeling, creativity, and expression. As I musically matured a bit in the early 1980’s I tired of unforgivably beating the hammered dulcimer. I played a lot of delicate music on the mountain dulcimer so why not try this on the hammered dulcimer as well? Cultures with a long, unbroken tradition of the hammered dulcimer and related instruments have developed various techniques to play dynamically and expressively. I listened to recordings of players from China, Greece, Persia, India and Eastern Europe for inspiration. 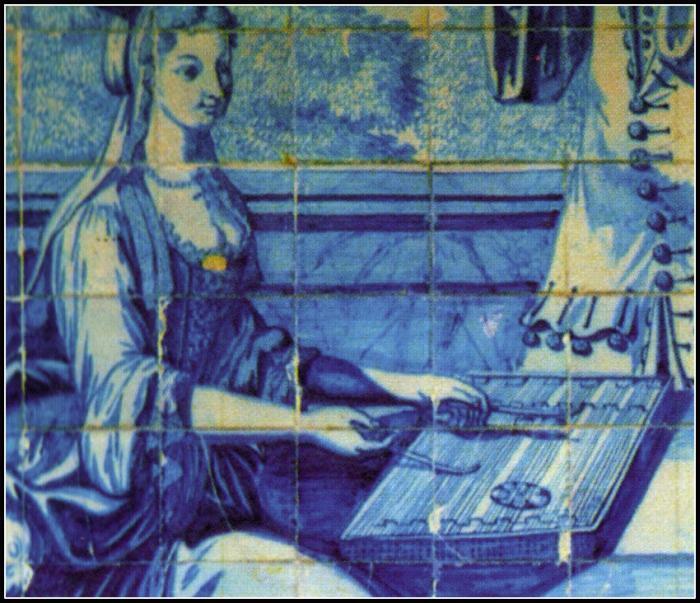 I imagine European hammered dulcimer players of the late Middle Ages and The Renaissance were influenced by the techniques of Eastern players since it is from these cultures Europe had acquired the hammered dulcimer during the Crusades. The first thing I learned was that a light grip on the hammers and a light touch when striking the instrument allowed far greater dexterity, agility and dynamic range. I could produce more tonal colors and execute ornamentation not possible when playing more aggressively. Playing fast was also easier as the lighter touch allowed using the recoil of the hammers bouncing off the strings to my advantage. The lighter touch allowed me to play with greater hand independence and this led to using more harmony and complimentary movement in my arrangements. Playing hammered dulcimer with a light touch allows all the muscles of the fingers, hands, arms, and shoulders to be involved in controlling the hammers. This not only helps improve tones and control but also keeps the upper body more relaxed and comfortable while playing. If your shoulders and neck feel tense while playing this may be a sign you are working harder than necessary! This has been my experience. Your mileage may vary. Carol – You don’t play like I do but you play like YOU do and you play beautifully! I remember the first time I met you; I was amazed by what you could play on the hammered dulcimer. I hope you have been able to find time to play during your world travels! This is what makes your Hammer dulcimer playing so appealing! The gentleness. Beautifully said. And I was always wowed by the “delicate music” you were playing on the mountain dulcimer in the ’70s, because it so beautiful and because it was so completely different from any of the other mountain dulcimer music I heard at the time.